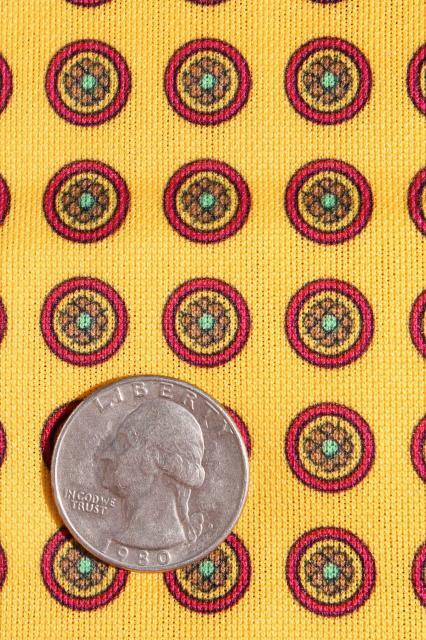 70s vintage polyester tricot knit fabric w/ yellow foulard print, working girl menswear retro! 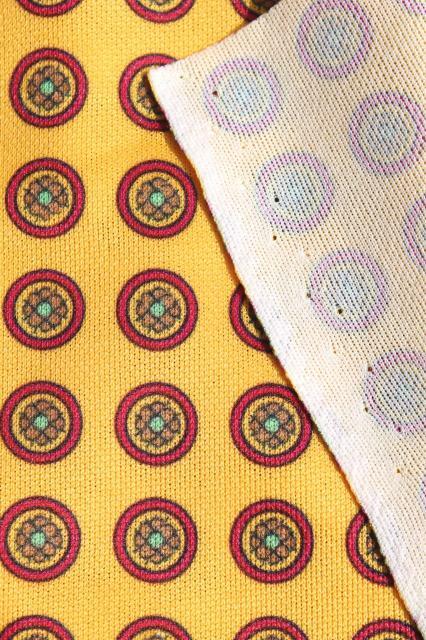 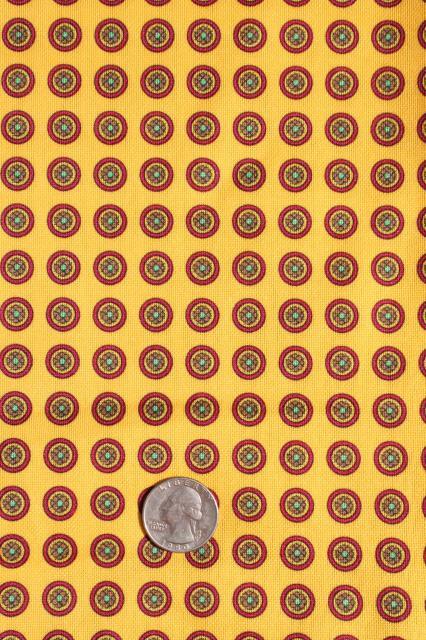 70s vintage poly tricot knit fabric with foulard style print, mustard yellow gold and red. 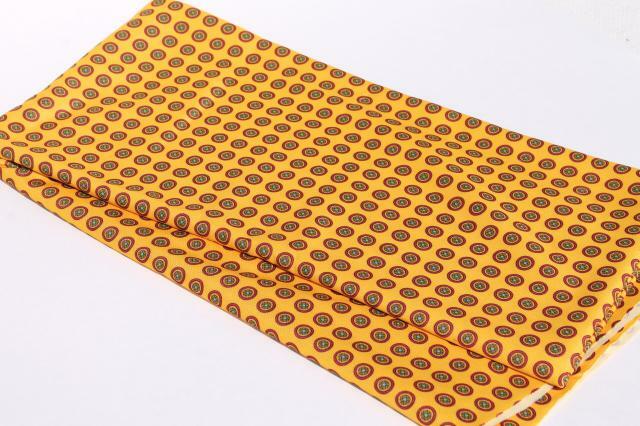 It's 62" wide fabric, this piece is 2 3/4 yards in excellent condition.